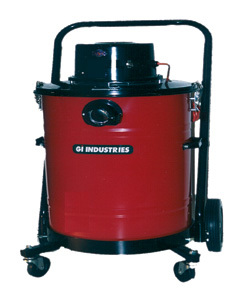 The VAC-100 is the perfect vacuum for cleaning hazardous waste in industrial environments. This product features dual 110v. motors (2HP), 115 CFM, 110″ static lift, 30′ electrical cord, 15-gallon tank, and removable dolly frame. This compact vacuum is light-weight and portable. It is great for confined areas in industrial buildings or residential structures.